All Posts Tagged With: "Kiehl’s Since 1851"
In proud support of World AIDS Day 2008, which is held each year on December 1, Kiehl’s Since 1851, the venerable New York-based purveyor of fine quality skin and hair care preparations will introduce a limited edition version of its customer favorite, Lip Balm #1. The Kiehl’s Lip Balm #1 tube will feature the symbolic red ribbon – worn internationally to increase public awareness of HIV/AIDS and in the lobbying efforts to increase funding for AIDS services and research. During the entire month of December, 100% of net proceeds from Kiehl’s World AIDS Day Lip Balm #1 will be donated to YouthAIDS, a non-profit organization that concentrates their efforts in the mission to stop the spread of HIV/AIDS among youth. Help Kiehl’s Choose a New Pear Product! In honor of Kiehl’s Day, Kiehl’s Since 1851 is holding its own special election this week: Kiehl’s is asking customers in their free-standing stores and on Kiehls.com to help make history by voting for the next Kiehl’s “Pear Tree Corner” formulation, Nov. 10 through Nov. 15. 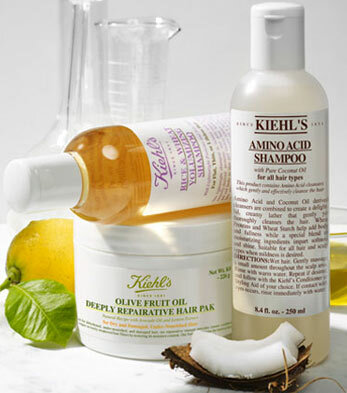 HOW TO PARTICIPATE: just stop by Kiehl’s Since 1851 free-standing stores nationwide; or Visit www.kiehls.com to vote for the next Pear Tree Corner Product and enter our drawing to win a “Pear Tree Corner” Collection gift basket. Enjoy a complimentary Lip Balm #1 and complimentary standard shipping with any Kiehl’s purchase of $40 or more. Enter promo code PEAR08 upon checkout.